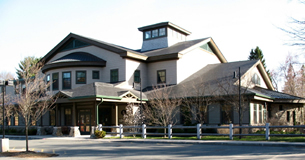 The Hamilton-Wenham Public Library is a publicly-funded institution dedicated to the common good by serving the informational, educational, cultural, and recreational needs of the community and encouraging its patrons in the lifelong pursuit of learning and personal growth. The library will be responsive to the needs of its diverse users, advocate and support the use of appropriate technology, build an excellent collection, commit itself to the highest ideals of library service and the principles of intellectual freedom, and provide a welcoming meeting place for the community. The Hamilton-Wenham Public Library Long-Range Plan was accepted by the Massachusetts Board of Library Commissioners in 2010. It serves as a guide for planning library services for the next five years. The Hamilton-Wenham Public Library is eligible to apply for Library Services and Technology Act (LSTA) grants.